German-registered Small Planet Airlines GmbH, which is owned by Lithuanian holding Small Planet Group, has received German Air Operator Certificate (AOC). The operator started flying under the new AOC on May 13. 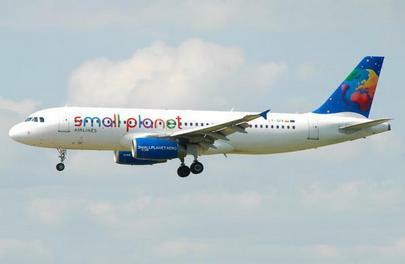 Small Planet’s German subsidiary operates two Airbus A320 leased from Air Berlin, according to data from airliners.de. The aircraft are based in Bremen and Paderborn. This summer, under a contract with Thomas Cook, the carrier will operate 460 flights from Paderborn to Mediterranean leisure destinations, mostly to the Spanish island of Majorca, and plans to serve more than 100,000 passengers. Within another deal, with TUI Deutschland, Small Planet will operate 14 weekly flights to Rhodes, Kos, and Iraklion in Greece, Menorca in Spain, and Burgas in Bulgaria. In total, the airline expects to make almost 800 flights during the summer. Small Planet Group started operating in Germany and Switzerland in October last year, flying from Bremen, Hannover, Munster, Dusseldorf, Hamburg and Zurich to Canary Islands, Fuerte Ventura and Palma. Small Planet Group holds AOCs in Lithuania and Poland, and performs flights from France, Great Britain and Cambodia. The group’s Thai AOC is currently pending. The group’s total fleet consists of 18 A320s and four A321s, the latter aircraft being leased from Lithuanian AviaAM Leasing. The most recent delivery occurred in May. The A321s are operated between Poland and the Mediterranean.